La Mer Collections giveaway | Cosa Mi Metto??? 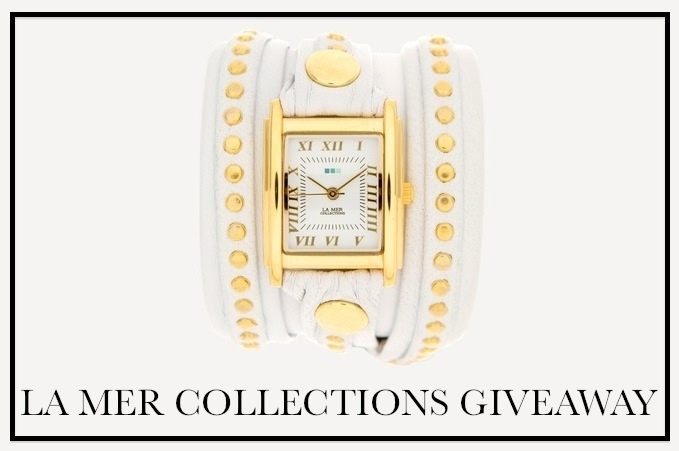 Hands up who wants to win this amazing and elegant watch from La Mer Collections!! Alzi la mano chi vuole vincere questo fantastico ed elegantissimo orologio di La Mer Collections!! 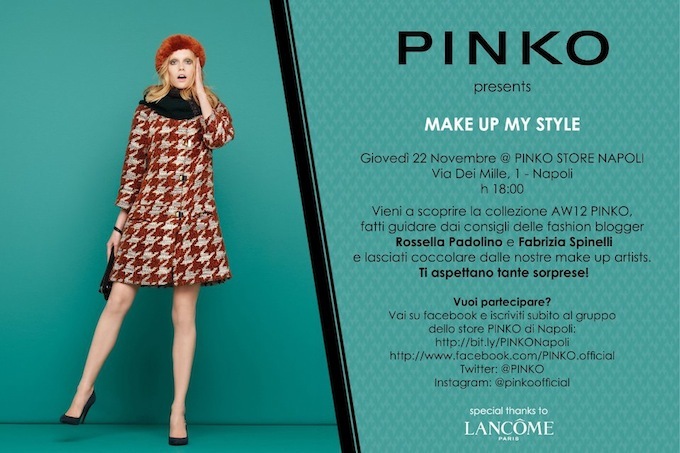 Don't forget that at 18.00 I'll be at the Pinko store in Naples for the first Make Up My Style event!!! I'll be waiting for you!!! Non dimenticate che alle 18.00 sarò al Pinko store di Napoli per il primo evento Make Up My Style!!! Vi aspetto!!! Adoro questo marchio, è davvero bellissimo! Cara Fabrizia, sarei venuta volentieri a conoscerti (abito a Caserta ) ma ho preso purtroppo un altro impegno. La prossima ci sarò. hi this is a great piece! Bellissimo orologio :D spero tanto di vincerlo! Ti seguo anke su instagram..
Io ci provo,mi piace questo orologio...amo il bianco!! love your blog girl. you look awesome. hope you ll flw us back. xo from Belgrade. El cuero es uno de los materiales estrellas mas atemporales. Tanto para invierno como para verano. Leather is one of the most timeless materials star. Both for winter and for summer. partecipo volentieri, il premio è bellissimo!!!!!! I just entered :D I love this watch!!!! pero que bonito es!! haber si tengo suerte eh!! Alzo le mani e anche i piedi.....mi piacerebbe eccome vincerlo!! 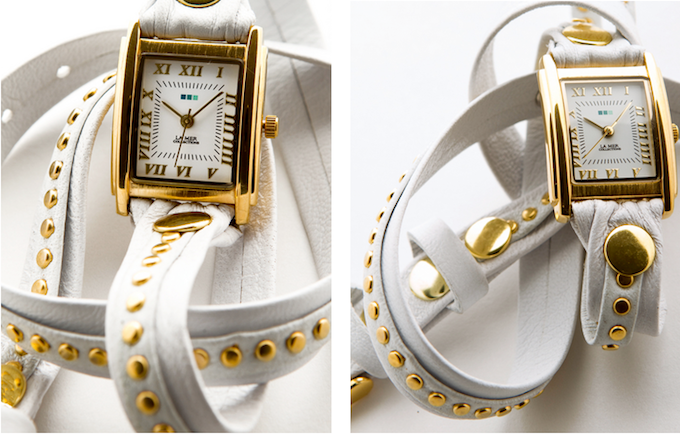 elegante e femminile, davvero un bell'orologio, mi piace molto l'abbinamento bianco e oro davvero chic!! Eccomi! Su fb sono Adm Pagina! ma è fantastico, speriamo...dita super incrociate!!! Ho già qualche bracciale fatto così, con il cinturino lungo che si gira intorno al polso, ma l'orologio ancora mi manca ;) speriamo bene!! Thank you for your comment! I already followed you! I become your follower on Facebook. Although your blog is full of fashion, and I don't follow fashion so much, I follow you because your blog has very nice presentation. It makes me feel nice and young too. In bocca al lupo a le partecipanti ;) Reb, xoxo. fantastico questo giveaway! ho seguito tutte le istruzioni! partecipo!! thanks for your comment on my blog , of course we can follow each other. I'm following you ( I have a pink cupcake avatar) I hope you'll follow back too, see ya! so cute i want it! questo sì che è bello!!! partecipo! un bijoux per il mio 1°giveaway! vi aspetto! Thanks for visiting my blog- I would love to follow each other :D I am following now! That's such a cool watch! Thanks for visiting my blog. I'd love to win! ti seguo anche su IG.. sono @zeulina! Hi thanks for visit me! I love your post! I was following you already Fabrizia on your networks, but I have like La Mer´s facebook page too now. beautiful watch! i'm joining the giveaway! That watch is just perfect and so stylish. Also love that its in white. I'm following you and La Mer on Facebook. My email address is mwillis1832@gmail.com. Thanks! Following you via gfc as Miss L and liking you and La Mer on Facebook as Leelo Rohtmets. Hi, I follow you. You have a good blog. I already followed you on GFC and Facebook ! Ci sono anche io, ho vinto qualche cosa? Ciao Fabrizia, Angelo.